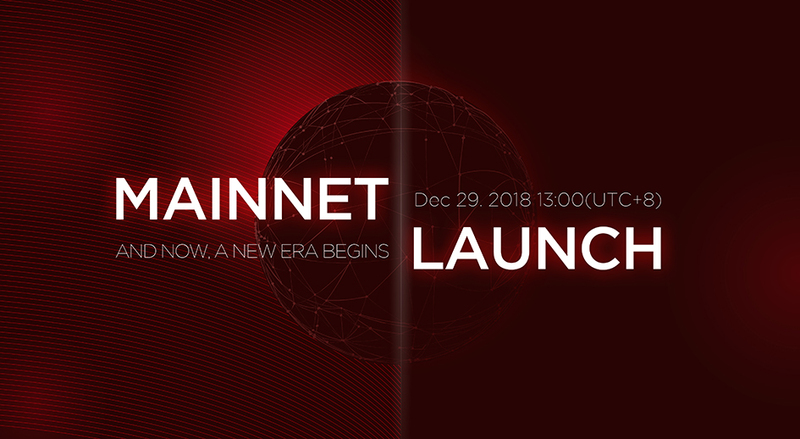 We have created the Genesis Block at 13:30(UTC+8) Dec. 29. 2018. We will set contracts(Mineral system, Address Masking, etc) and secured the Block height for about 30 minutes(about 225 Blocks) after the Genesis Block creation to stabilized the mainnet network. Those APIS Mainnet coins mined during this Block height secure will be burned. We’re releasing APIS Wallet and Explorer on our official website and users can download it as soon as withdrawal from APIS platform is activated at 14:00(UTC+8). ※The access could take longer than usual due to the settings and server time difference. Please refer to APIS PC Wallet user guide if you need any help. For Linux users, please refer to Gist document about APIS Core set up and operation. MacOs will be released soon. 2. We’re opening APIS Masternode Early Bird. Users can apply for Early Bird Masternode participation from Dec. 29. 2018. Early Bird is a stage you can apply a day(24 hours) earlier before Masternode Refresh start. For the first round right after the mainnet launch, Early Bird stage will last 23 hours (It takes about a half an hour to stabilize the Blockchain and set the contract after Genesis Block creation.) and users can apply a day(24 hours) before ‘Normal’ opens from the next round after the Refresh. Users can apply on APIS Platform(https://apis.mn/). Early Bird participants don’t need to set up the Wallet or manage extra Masternode server. Also, accumulated Masternode reward from the Early Bird stage open to Normal stage open will be distributed divided by the number of setup Masternodes at the end of the first reward cycle. Users can participate without restrictions within (4,000 / 3,000 / 2,000) APIS Masternodes of (General / Major / Private) tiers so the application can be closed on Early Bird stage if all nodes are occupied. 3. You can withdraw and Two-way swap from APIS platform. From 14:00(UTC+8) Dec. 29. 2018, when we secure the block height, Two-way swap and withdrawal function will be activated. For the users who want to set up APIS Masternode on PC Wallet as a ‘Normal’ stage from 13:00(UTC+8) Dec. 30. 2018, Please complete the token swap via Two-way swap of APIS platform, to APIS Mainnet Coin. 4. We’re preparing for APIS PAY. Beyond the simple transfer service, APIS PAY will apply various payment method and functions, obtaining the variety of payment service via APIS. We will announce the launch of User-friendly, easy APIS PAY soon. 5. When a significant amount is deposited to APIS Platform, we’re transferring them to a cold wallet of APIS team. To enhance the security, we are transferring assets to a cold wallet when a significant amount is deposited to APIS Platform. We will make sure your valued assets are kept safe.